This "Historically Speaking" column was published in the Exeter News-Letter on Friday, September 26, 2014. Wondering about the mysterious sign in front of the town hall? The sign – to be unveiled on Saturday, October 4th – commemorates Abraham Lincoln’s visit to Exeter in 1860. Back in 2010 we celebrated the 150th anniversary of his visit and speech with all manner of public events. The permanent sign will recognize our town's connection to Abraham Lincoln to a wider audience. Historic highway markers are nominated through the New Hampshire Division of Historical Resources. Exeter already has four such markers. If you’re interested in finding them all, start on outer Water Street where you’ll find a marker dedicated to Brigadier General Enoch Poor. Poor was a shipbuilder who served during the American Revolution. The Ladd-Gilman house, which is now the home of the American Independence Museum, bears a marker to remind us of its role as the state treasury. A marker dedicated to Exeter’s tenure as the state capital stands in front of the town offices and just up Front Street on the corner of Court Street another sign marks the spot where the Declaration of Independence was read aloud for the first time to citizens of New Hampshire. Lincoln wasn’t a presidential candidate when he visited Exeter in the winter of 1860. His son, Robert, was attending Phillips Exeter Academy after spectacularly failing his Harvard entrance examinations. When Lincoln was hired to make a speech at the Cooper Union in New York in late February, he readily accepted and extended his trip to have enough time to slip up to New Hampshire to visit Robert. Lincoln had other ties to Exeter – he had befriended fellow congressman Amos Tuck during his time in the United States Congress in 1847. Tuck is widely credited with the creation of the Republican Party based on his objection to the spread of slavery into the western territories – a view he and Lincoln held in common. 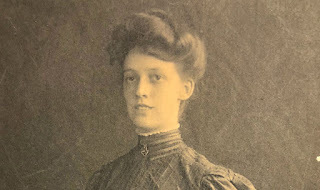 The Tuck family’s presence in Exeter most likely helped the decision to send Robert to Phillips Exeter Academy for a year of intense study. Upon Lincoln's arrival to town on February 29th, he was immediately asked to make speeches throughout the state and he found himself on a whirlwind tour of Concord, Manchester and Dover during his short stay in New Hampshire. Exeter was the site of the fourth speech he made in the state. So what of it? Lincoln made speeches all the time. What’s one more? Lincoln’s northeastern trip that year introduced him to a skeptical audience. There were several candidates from the region likely to run for the presidency that year, but Lincoln’s debates about slavery against Stephen Douglas for the Illinois Senate had been carefully followed by many folks in the east. Slavery had nearly disappeared in the northern states and most thought ‘good riddance.’ It could stay where it was in the south, but when the western territories began to petition for statehood, decisions about the spread of slavery had to be made. Lincoln’s Cooper Union speech, which he paraphrased for the New England audiences, laid out his careful reasoning in opposing the extension of slavery. It also hinted that, perhaps, the system itself, although constitutionally acceptable, was a cancer on the nation. It was in New Hampshire that Lincoln first used the powerful metaphor of slavery as a snake in the bed to awaken the population’s sleepy complacency. Of the four sites where Lincoln spoke in New Hampshire the Exeter town hall is the last one still standing. Concord lost Phenix Hall to a fire in 1893. Manchester’s Smyth Hall was torn down in 1970 and the Dover City Hall burned in 1866. Last year’s fire at the Exeter town hall, small though it was, was a reminder that these old buildings must be cherished. 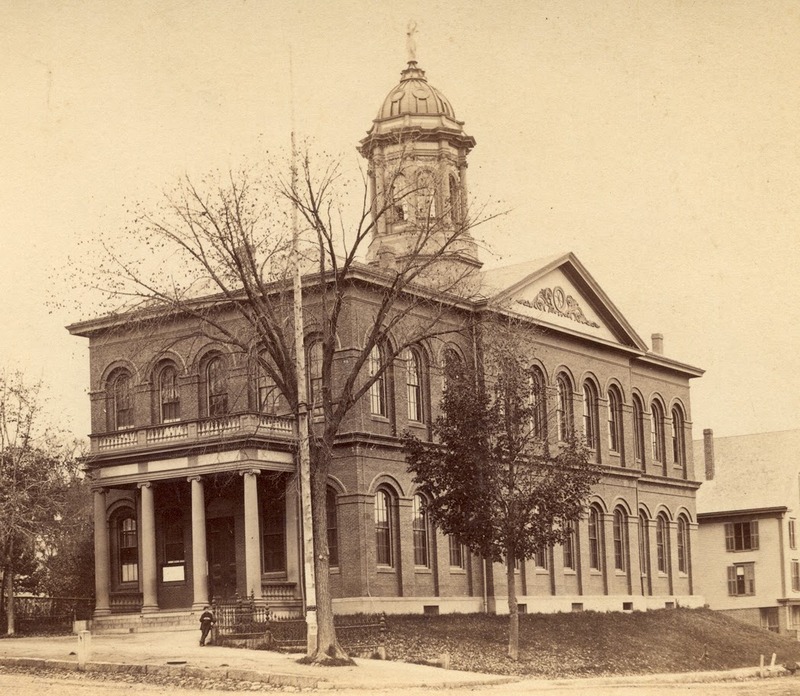 The Exeter Historical Society was pleased when a local donor contacted us willing to assist with a petition to have the Exeter town hall recognized as a New Hampshire historic landmark. 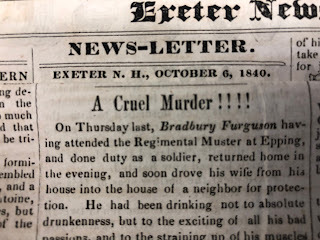 Please join us during the Exeter Fall Festival on October 4th at 12:30 on the steps of the town hall when we will be joined by Phillips Exeter Academy principal Tom Hassan and, perhaps, Abraham Lincoln himself, to unveil our new historic marker. Image: Exeter Town Hall as it appeared to Abraham Lincoln during his visit in 1860.